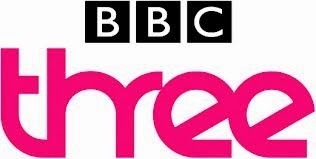 The BBC Trust has confirmed that it has finally received details of the BBC Executive's proposals to close BBC Three and move content online; to launch BBC One+1 in its place on digital TV platforms and extend the broadcast hours of CBBC to 8pm. In response, it will launch a public consultation on the proposals next month. Following a discussion of the proposals by the Trust Services Committee on 3rd December 2014, the committee confirmed that the proposals will warrant a public value test, including public consultation, "so licence fee payers, audience groups and industry stakeholders have an opportunity to have their say on the proposals." The public consultation on the proposals will start in January 2015, when the BBC Trust will publish details of the proposals, which will include the application from the BBC Executive, the service description prepared by the Trust Unit and a timetable for the process. According to a statement made by the BBC Trust today, "the Trust and Ofcom will now agree terms of reference for the Market Impact Assessment (MIA) to be conducted by Ofcom, and the Public Value Assessment (PVA) to be conducted by the Trust. The Trust will also prepare a service description, which sets out in detail the Executive proposals and serves as a basis for the assessment." The Trust confirmed that its "priority throughout will be to listen to the views of audiences and stakeholders." The move is seen as being controversial; earlier this year research for the BBC Trust revealed that the other three main BBC channels attracted similar audiences - all with viewers on average around 60 years of age, slightly male skewed and upmarket. Only BBC Three broke the mould, leaving many licence fee payers underrepresented. The BBC Executive points out that BBC Three's viewers are the most likely to make the switch to online delivery. Some argue that by disregarding the next generation of BBC viewers, this doesn't bode too well for the other BBC linear channels in the future, when current audiences die out. Really hope the campaign to #SaveBBC3 is as successful as it was for 6Music and Asian Network. There is just no convincing argument for ditching it, and certainly no public demand for BBC1+1 to replace it. Hopefully a sensible solution can be found but I do fear it's a channel the men in suits at the BBC never wanted and they don't even think it's worth listening to the arguments to save it. Agree entirely Brekkie. No reason whatsoever for BBC 1+1. If it does happen then BBC Four HD should be moved to the PSB 3 Multiplex on Freeview.